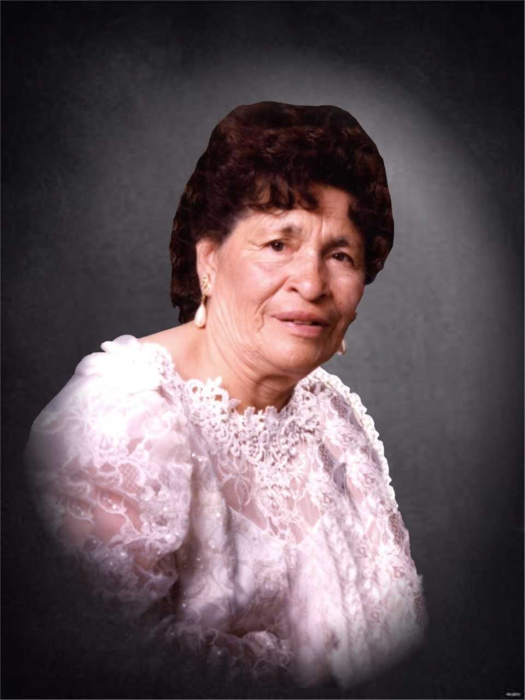 Antonia Godinez passed away peacefully surrounded by her family in Watsonville on January 30, 2019. She was 95. Antonia was born on September 2, 1923 in Leon, Guanajuato to her proud parents Francisca Martinez and Pablo Andrade. She came to California in 1965 and worked for Frank Capurro and Son for 22 years. She was married to her loving husband Julian Godinez for 64 years. Together they had 6 daughters and a son. She enjoyed working in her garden, where after a day of work you could find her watering her flowers. She attended church every Sunday with her daughters. She enjoyed singing and was an amazing cook. Some of her best dishes were mole, enchiladas and tamales. She was a kind-hearted gentle lady that loved her family very much. She was a shining example of what a mother should be. She leaves her legacy in her children who will pass on the legacy to their children and grandchildren. Her daughters have great memories of her making them hot chocolate before they woke in the morning before school, walking home from school and the smell of homemade flour tortillas, also the smell of the homemade cinnamon bread that she would bake, so many delightful memories that will live on forever. Her grandchildren have wonderful memories of all the things she would do for them when they were children like making them nachos, peeling their grapes, going to the corner store to buy them snacks. Her grandchildren remember when they would lovingly tease their grandma and she would scold them. All the memories of Christmas, Thanksgiving, birthdays, weddings etc. are etched in each daughter’s and grandchildren’s mind. Her family thanks God for renewing her, taking her to her celestial home to be with family and to praise God face to face. Antonia Godinez will never be forgotten, she is only a thought away. She will be greatly missed by all who knew and loved her. It’s not goodbye but until we meet again in Heaven. She is survived by her daughters, Maria de Jesus (Salvador) Aviña, Mina (Alfonso) Solorio, Paty (Angelo) George, Alicia (Steve) Martinez, Lupe (Lupe) Ocampo and her son Roberto Godinez; her brother, Aristeo Andrade; her grandchildren, Robert Godinez Jr., Rosa Avina, Francisco Avina, Gerardo Godinez, Victor Godinez, Antonio Godinez, Yvette Godinez, Elisa Godinez, Mario Diaz, Dioni Solorio, Adriana Ocampo, Alfonso Solorio Jr., Vanessa Ocampo-Lucero, Ivan Solorio, Karina Ocampo and Iris Godinez; and 31 great grandchildren and many great great grandchildren and numerous nieces and nephews. She was preceded in death by her husband Julian Godinez; her daughter, Graciela Godinez; and grandson Mario Diaz. A Visitation service will be held on Thursday February 7, 2019 at St. Patrick’s Church in Watsonville from 5:00-9:00 PM with a recitation of the Rosary at 7:00 PM. Mass will be held on February 8, 2019 at St. Patrick’s Church at 11:00 AM with the burial to follow directly after at Valley Public Cemetery in Watsonville.